Todays man crush monday is for the little dragon that was known as Brandon Lee, the son of the late, great Bruce Lee. Brandon Lee would always have had all eyes on him, the legacy that he carried on his shoulders could have been compared to Atlas carrying the world on shoulders in greek mythology. Much like his father who people tend to forget was an established child actor back in hpHong Kong before he moved to the USA Brandon trained in the famed Lee Strasnerg Theatre and Film Institute. 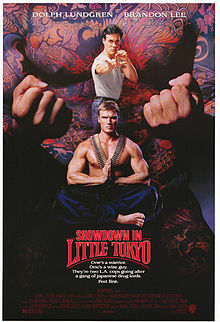 He may have been a martial artist but his profession was an actor This can be seen in the film Showdown in Little Tokyo in which he has second billing to Dolph Lundgren. In all of his roles he was able to bring a likable and rounded charcter to who ever he played. Brandon studied under his fathers best friend Dan Inasanto in the style that his father created Jeet Kune Do with him concentrating on the styles of wing chun and muy thai boxing. This can be seen in large amounts in his staring role in the american financed film Rapid Fire. The choreography was done by Jeff Imada who was also a student of Dan Inansanto and has been credited with some of the best on screen scraps including the Jason Bourne trilogy. After having bit parts in various tv shows such as Kung fu the movie and Ohara it would not be until he got the role of Eric Draven in the movie The Crow that he would be noticed. Based on a cult favourite comic book in which a dead guitarit comes back to life to avenge his death and the death of his girlfriend. 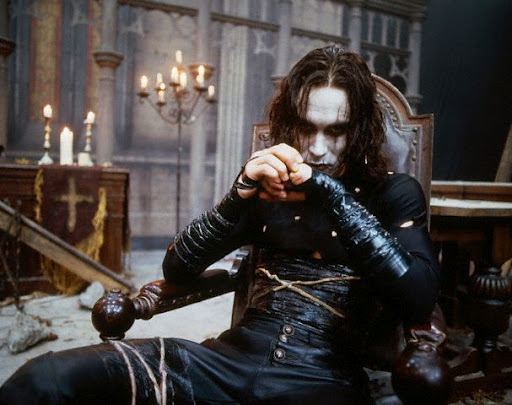 The west had finally started to take notice of what Brandon may have been bringing to the table, the buzz for the Crow was big, unfortunately due to an accident on set Brandon was killed. There was talk of a curse that had followed the male bloodline of the Lee family another rumour was he was killed by the same triads who allegedly killed his father. In reality he was killed by a blunder in which a piece of a bullet had been lodged in one of the guns and so when it was fired the piece of shrapnel hit him in his chest. In my opinion as much as Bruce Lee was a legend I actually perfer Brandon, his films were better and he had a human element that was easier to connect to when compared to the way his father portrayed his invincibility on screen. Brandon would have been 50 years old today, im sure that if he was still alive he would have contributed to the martial arts scene the same way his father did. It would have interesting to see where he would be today especially with this whole phase of action stars coming back from obscurity example being the Expendables franchise. In the five films that Brandon Lee made he left more of an impact and authenticity than some action stars have given us in a whole career. Brandon Lee man crush monday I salute you. Previous Previous post: 5 Things I can’t wait to see in 2015 – by Jason P.